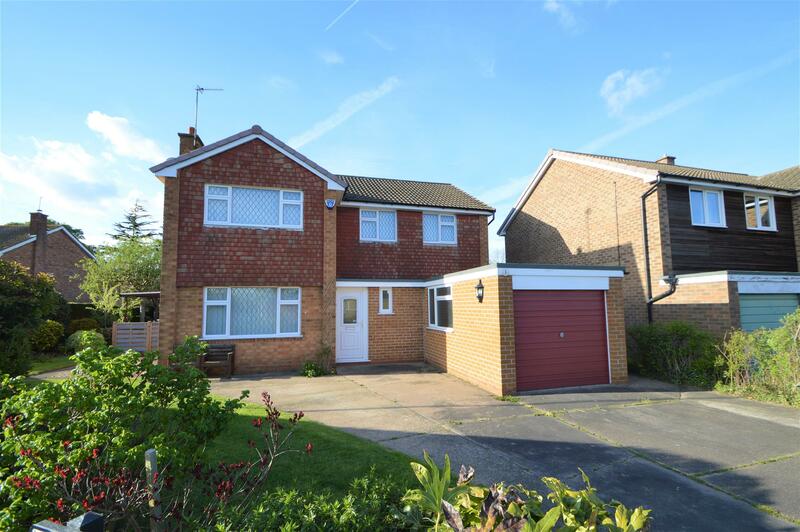 Benjamins are delighted to bring to market a well presented four bedroom detached property occupying a good sized corner plot, situated in the sought-after residential area of Keyworth on Beaumont Close. The property benefits from no onward chain, double glazing, gas central heating and briefly comprises: Entrance porch, hallway, living room, dining room, modern kitchen, utility room, down stairs shower room, four double bedrooms, family bathroom. With gardens to side and rear, integral garage, driveway for several vehicles. Viewing recommended. 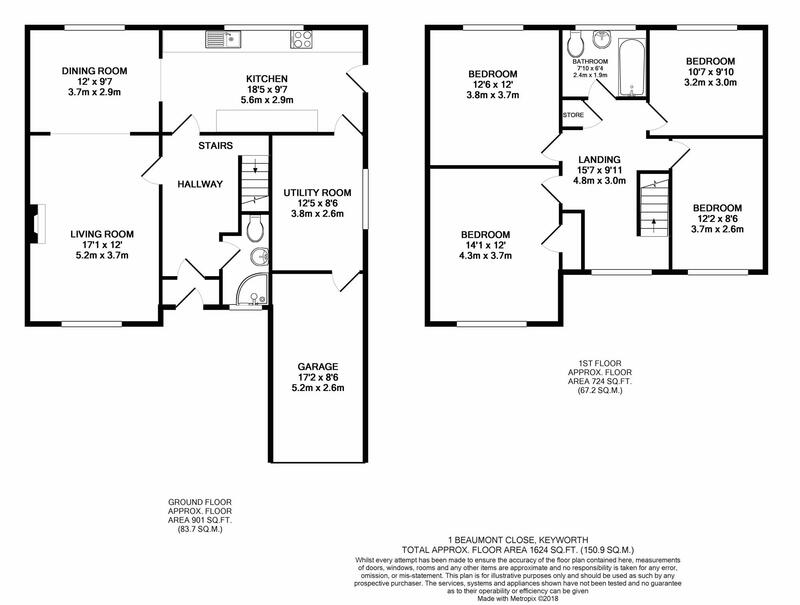 To arrange a viewing please call Benjamins Sales on 0115 9371713. The dining area has a UPVC double glazed window & door to the rear and double french doors to the side out onto a paved patio undercover seating area in the garden. Doorway though into the kitchen. UPVC double glazed window to rear aspect, fitted with a range of cream wall and base units with work surfaces over incorporating a single drainer sink with mixer tap. There is an integrated dishwasher, space for large fridge freezer, integrated electric oven, 5 ring gas hob with extractor fan above, tiled splash backs, radiator, door with side access to garden and door into utility room. Fully tiled corner shower cubicle with Mira electric shower, low level wc, wash basin with mixer tap, tiled floor with under floor heating, radiator and UPVC opaque window to front aspect. Plumbing for washing, space for tumble drier, wall mounted Worcester boiler. Electric consumer unit, gas and electric meters. UPVC double glazed window to side aspect and door access to integral garage. Stairs from hallway to the large open landing area which has access to the loft and airing cupboard and doors to the four bedrooms and family bathroom. UPVC double glazed window to the front aspect, radiator, ceiling light. UPVC double glazed window to the rear aspect, shelves & fitted storage cupboards, radiator, ceiling light. Up & over door with light and power.